If you’re like most people, you’re probably pretty good at keeping up with the daily kitchen clean-up. Which, let’s face it, is basically just keeping the dishes clean and wiping down the countertops, right? 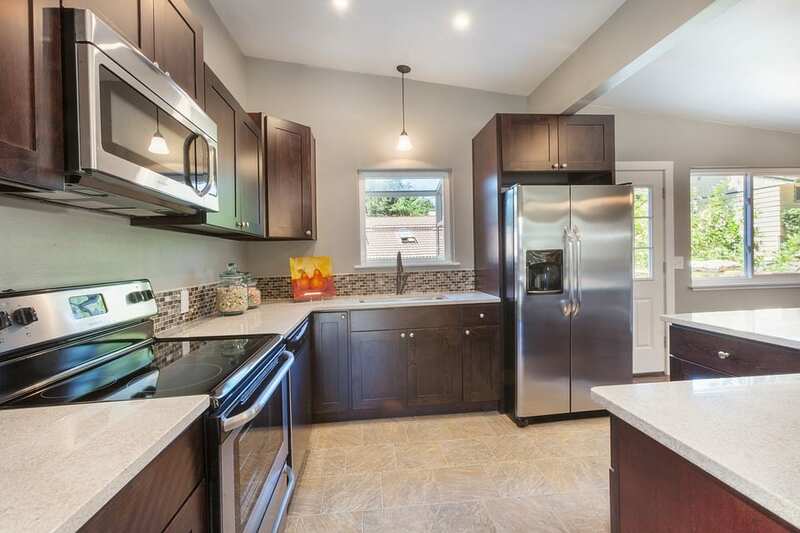 And while that’s great, every now and again you have to give your kitchen a thorough and deep cleaning. Deep-cleaning the kitchen isn’t exactly the most exciting chore in the world to do, but thankfully–there are plenty of hacks, tips, and tricks to help make it a heck of a lot easier. Continue on for 55 of the best deep-cleaning hacks for the kitchen. You can thank us later! We get into our cabinets all of the time, so fingerprints and grease are bound to show up on the wood. Instead of reaching for an expensive wood-specific cleaner, just make a mixture of baking soda and hydrogen peroxide instead. Here’s the full tutorial. Scrubbing the oven from all the grease and food pieces is hard labor! One Good Thing by Jillee has a super easy way to do the scrubbing and cleaning without any back-breaking work. One thing to note: although this trick is easy, it’s time-consuming so be sure that you have a few hours to be at home. 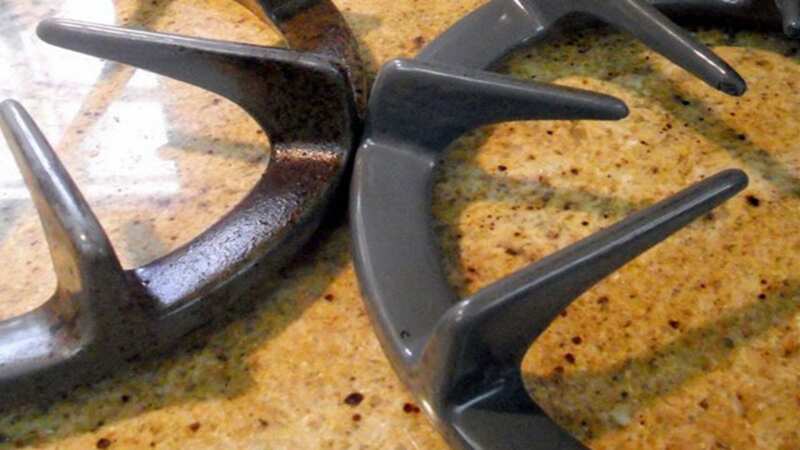 Another way to clean a stove without much hassle (or chemicals!) is to use baking soda. As you’ll see in upcoming slides, baking soda is about to become your new best friend in the kitchen, if it wasn’t already. Here are the instructions. 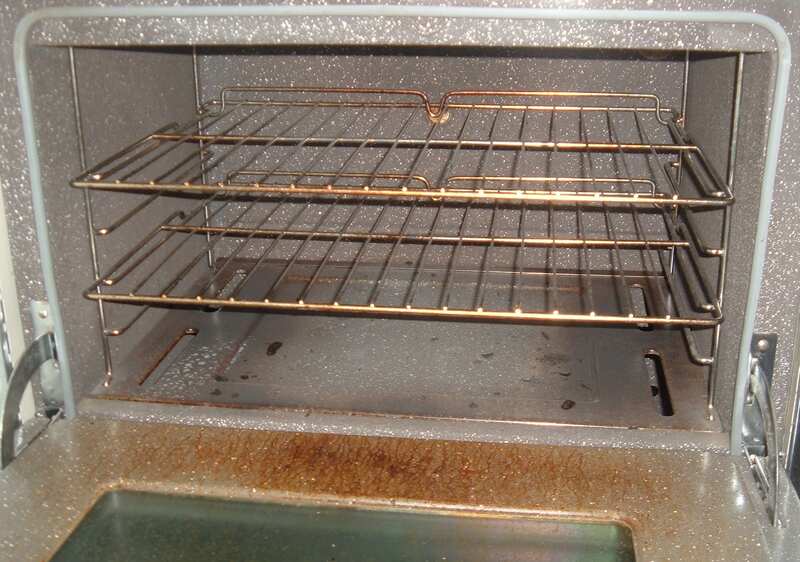 Speaking of not scrubbing your oven, you probably don’t want to scrub those burners either. They’re a haven for greasy, burnt messes. Over time, these greasy burners actually cost us more money because it takes more energy to heat the coils through all that caked on oil and food. Use ammonia to give them a fabulously low-effort cleaning. Here’s how. 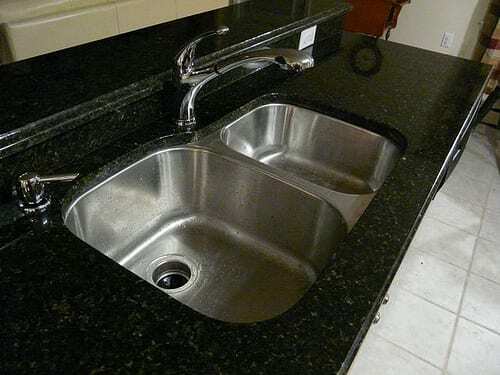 Stainless steel sinks are beautiful and they are durable. 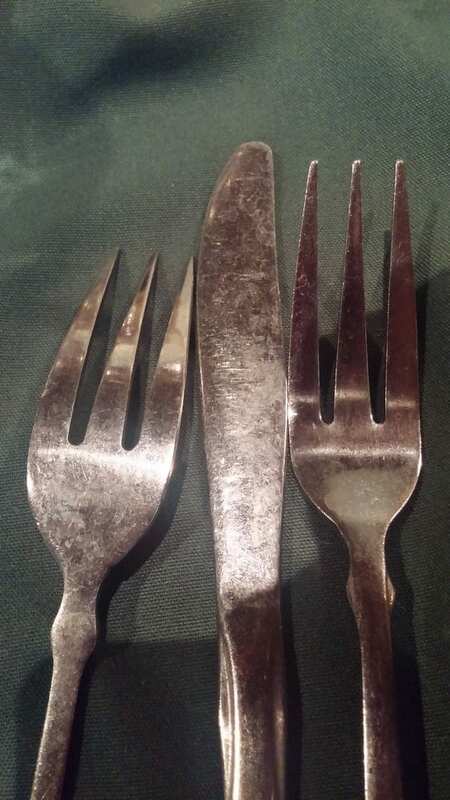 They aren’t terribly hard to clean but after a while, they deserve a deeper clean to remove any grease or spots. 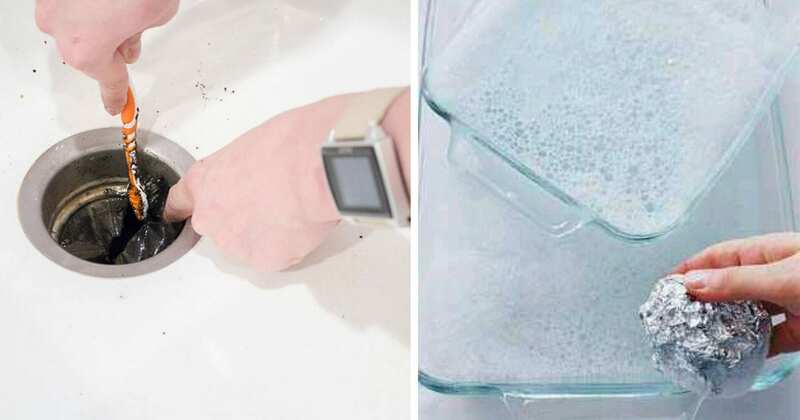 All you need to do is sprinkle baking soda over the surface of the sink and drain, add a bit of water, and give it a scrub with a sponge or soft toothbrush. Rinse and admire the sparkle! 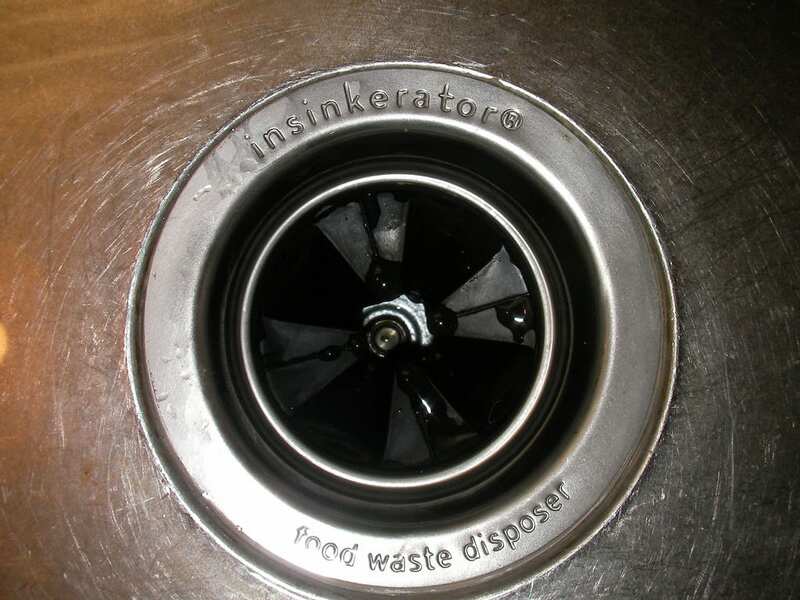 Here’s another way to keep your sink, drain, and disposal smelling fresh–and it’s non-toxic! You’ll just need some Dawn, baking soda, vinegar, lemon, salt, and ice. Head over to Apartment Therapy to get the step-by-step instructions. 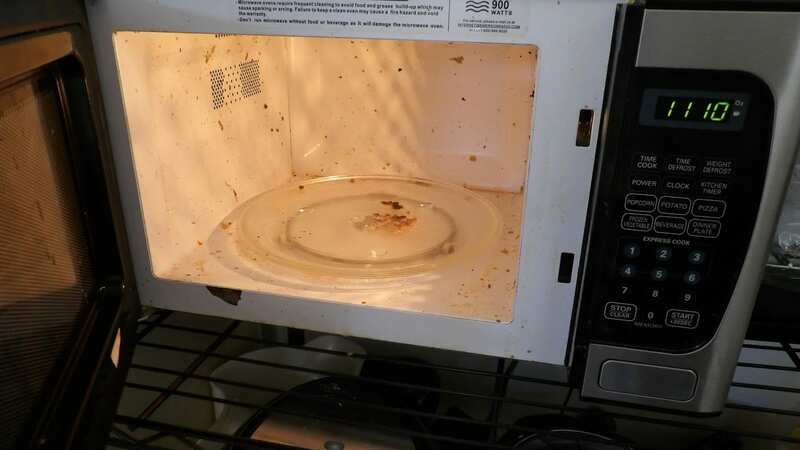 The microwave is often an overlooked appliance for regular deep cleans. Over time, there can be a lot of food splatter and grease all over the place. Here’s how to easily clean it–fill a measuring cup with water and toss in a halved lemon. Microwave until it boils and let the steam fill the microwave. Once thoroughly steamed, easily wipe with a sponge. Be honest, when is the last time you deep-cleaned your toaster? As it turns out, there’s a very easy way to do it and it takes less than 10 minutes to complete! 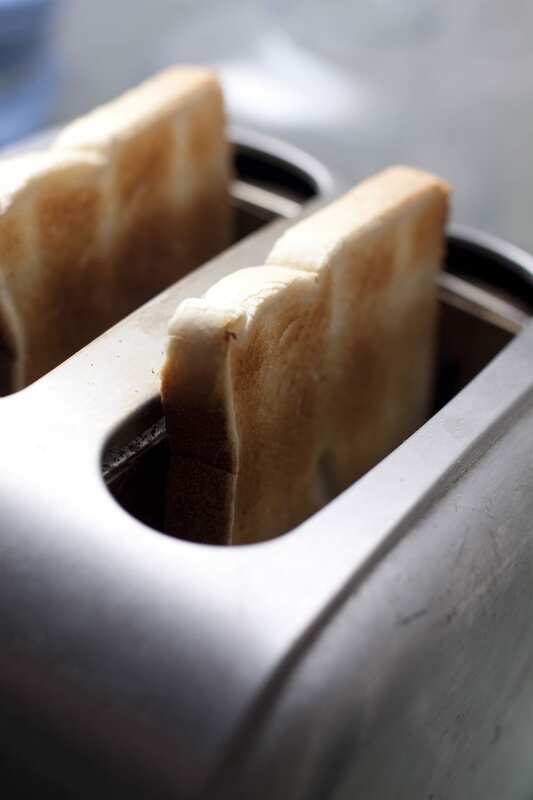 In just 7 super easy steps, some warm soapy water, and a couple of dish towels, you’ll have a gorgeously clean toaster. Here’s how. 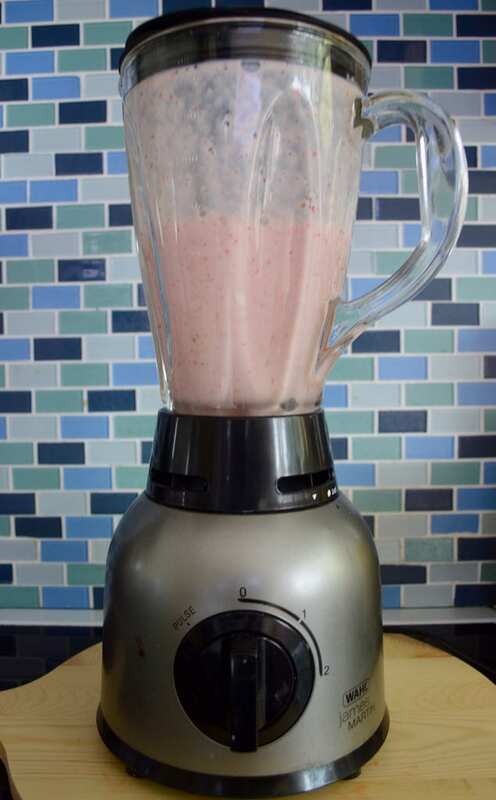 You could hand scrub your blender or you could have the blender do the scrubbing for you! After you’re done blending, put in a squeeze of dish soap, fill halfway with warm water, and blend! After a good whirling, just rinse out with more warm water. 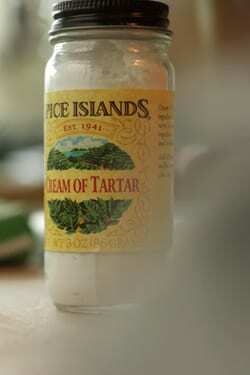 It might sound a little strange but you can actually use cream of tartar to clean your toaster as well. This is meant for stainless steel toasters and you’ll just need some cream of tartar and a few drops of water! Here’s the tutorial. Dryer sheets are another one of those items that have far more uses than you’d think. 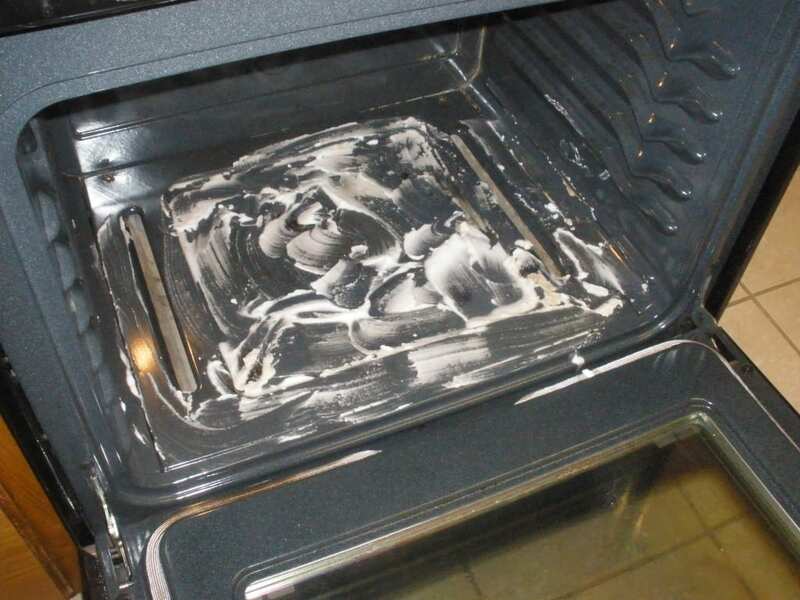 To remove baked-on food from bakeware, place a dryer sheet inside, fill with warm water, and let soak. After 10-15 minutes, scrub the pan with the dryer sheet. Voila! 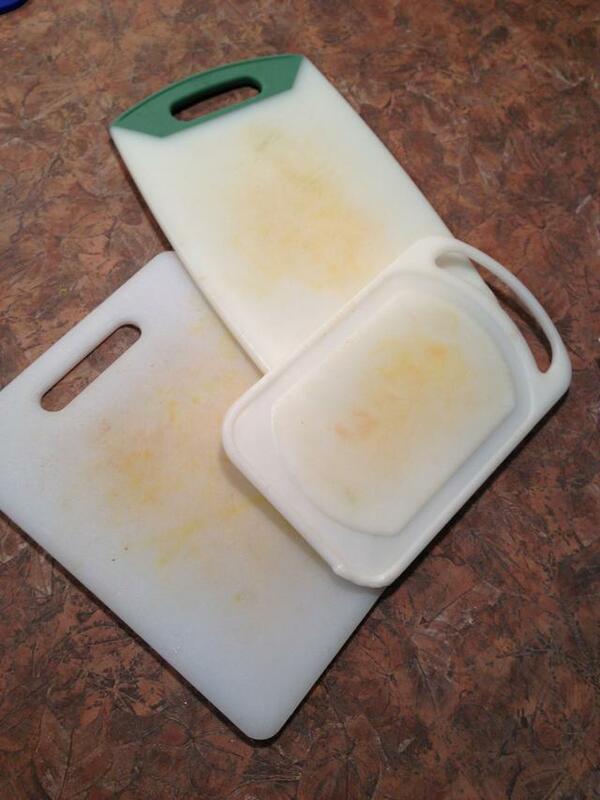 The porous surface of wooden cutting boards makes it easy for it to collect dirt, grime, grease, and food particles. This could be a breeding ground for bacteria. Give your cutting board a good clean by dampening it, sprinkling some coarse salt on the surface, and scrubbing with half a lemon. Rinse with water and a sponge. 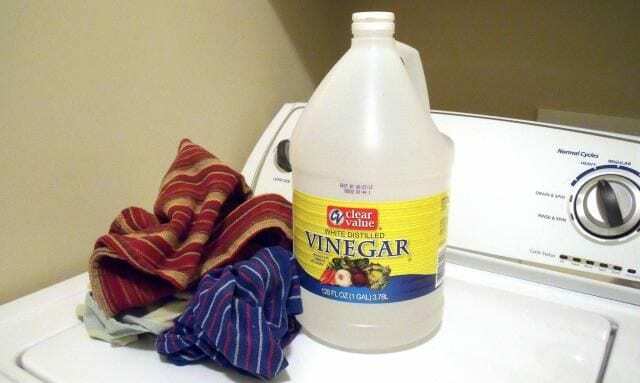 An alternative to the previously mentioned microwave-cleaning hack, you can also use vinegar, a few drops of water, and some lemon essential oil. Oh, and a small toothpick! Here’s the tutorial. 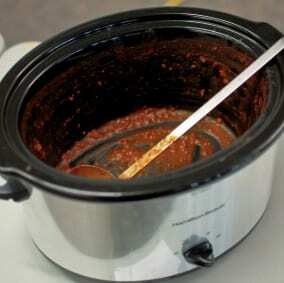 If you have oven and grill cleaner in your home, you can also use it to clean your slow cooker–and it works like an absolute charm! This technique works wonders when it comes to removing cooked and hardened food or sauces. Head to 365ishpins for the directions. 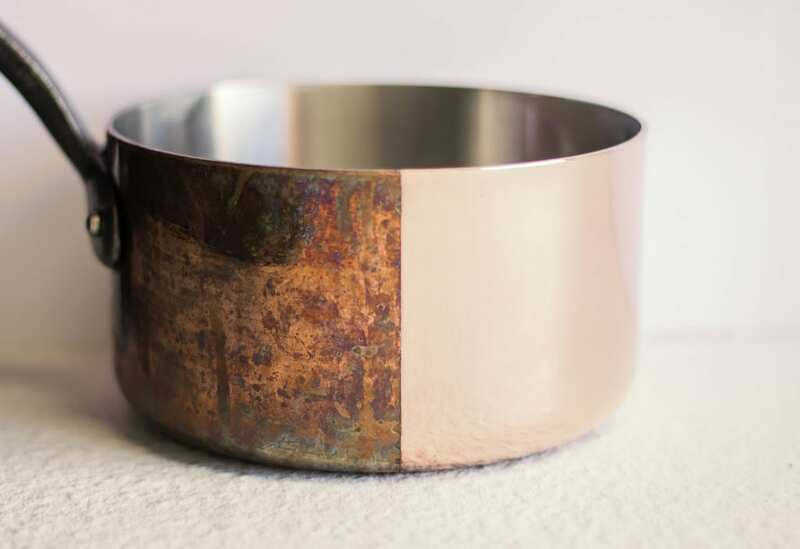 Shine up those beautiful copper pots with the help of salt and vinegar. Just scrub them down with a salt and vinegar mixture and watch all of that dullness fade away! 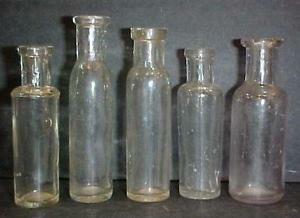 Vinegar alone will work but adding salt will kick it into high gear. Baking soda to the rescue once again! 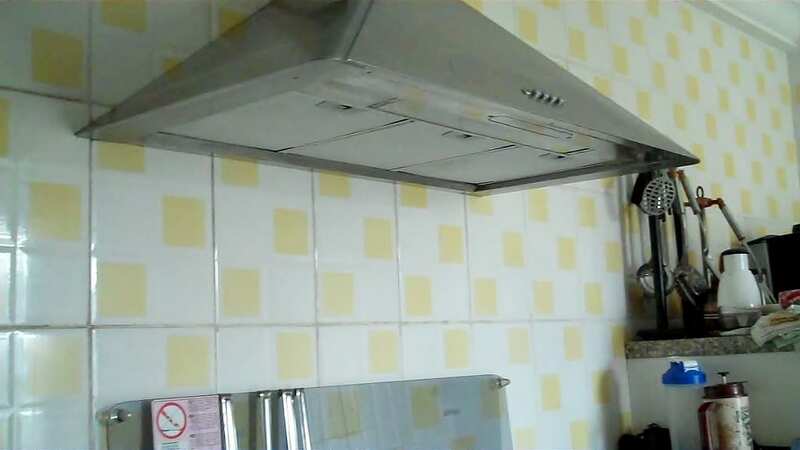 To clean your greasy stove hood, first, remove the range hood filter. Bring water to a boil in a large pot and slowly mix in some baking soda, working up to 1/2 cup. 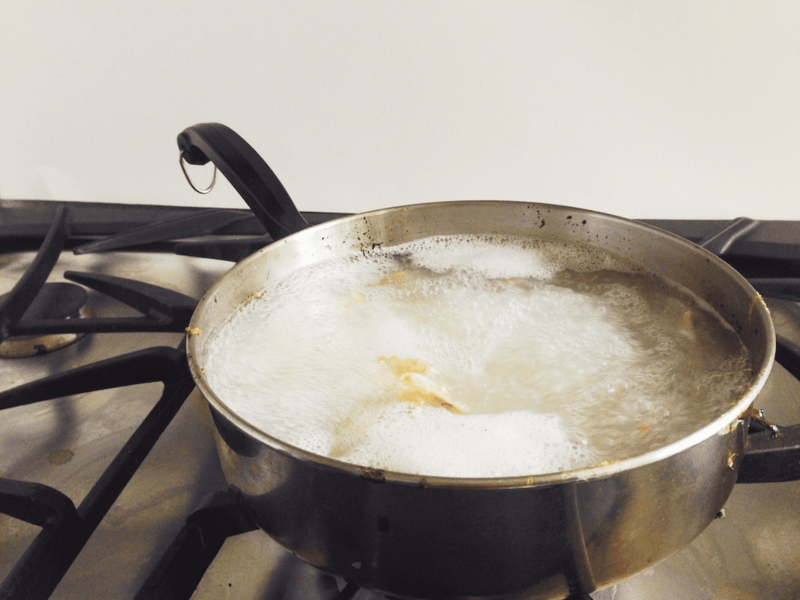 Place your filter into the boiling water and let sit for a few minutes–the grease will melt off. Rinse the filter under hot water until the water runs clear. Done! Another place in the kitchen that gathers a lot of grease is the top of the stove hood–basically the hood itself. And oddly enough, the way to remove this oil is with oil! Dampen a soft cloth or paper towel with some mineral oil and wipe away the grease buildup! 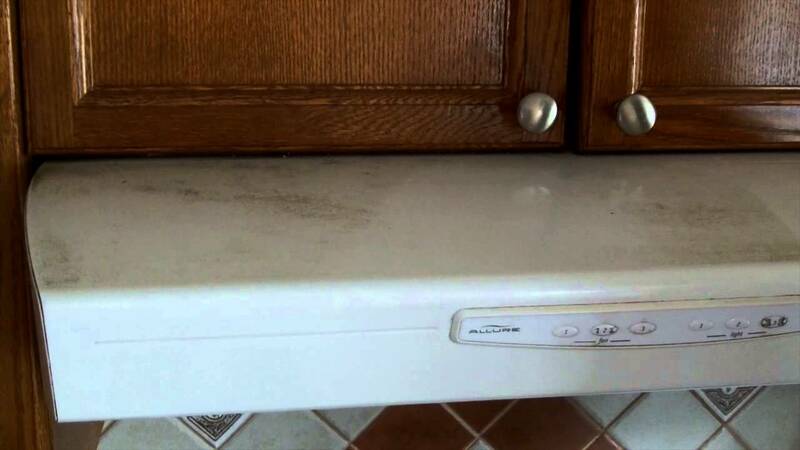 A majorly overlooked area that should be cleaned often are refrigerator coils. Located on the back of the fridge, they gather a lot of dust which over time will make your fridge run inefficiantly–costing you more money. All you’ll really need to do is give them a quick vacuum with an attachment or a small car vacuum. To remove any streaks or fingerprints from your stainless appliances, you’ll just need to make a simple mixture of water, some white vinegar, and a few drops of dish soap. Using a soft cloth or sponge, wipe them down and it’s as easy as that! Here’s another cleaning hack that might sound a little strange but it actually works quite well! 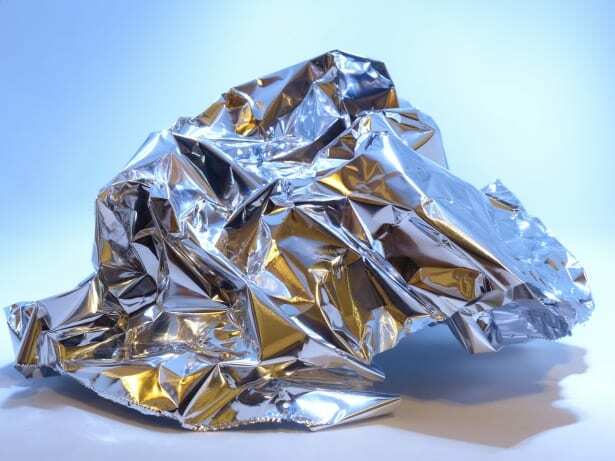 To scrub off caked on food from glass bakeware, just use a piece of crumpled up aluminum foil and some warm, soapy water. 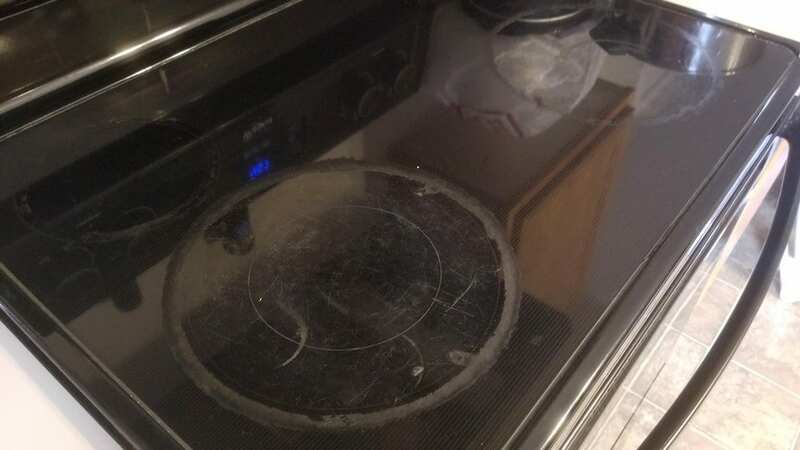 If you have a glass cooktop, those can become greasy and dirty with caked-on food. Clean it with easy by using a little baking soda, warm water, and a sponge. The baking soda will lift all that grime right off! Just like wooden cutting boards, white plastic cutting boards can get pretty yucky over time. Make sure you kill all the bacteria and super-clean you cutting board often. You can do this with bleach. Not only will it deep-clean your plastic cutting board but it will also whiten it as well! To prevent having to scrub your refrigerator shelves in the future, the next time you clean them, line the shelves with some Glad Press N Seal afterward. This way, you can just simply remove and replace the plastic liner once it becomes dirty! 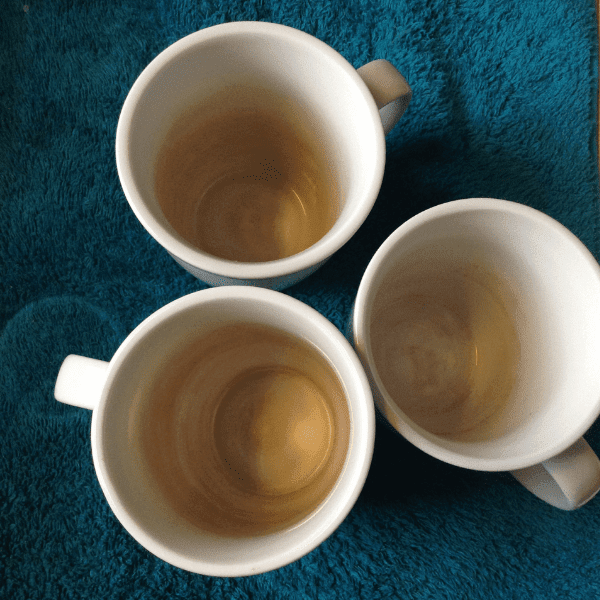 Coffee cups, especially white ones, can become stained with coffee after a while. Just reach for the baking soda and give it a scrub with a little warm water. The stains will lift off with practically no effort at all. Hard water stains can leave spots on our silverware that can be very difficult to remove, but not if you use white vinegar! All you need to do is use some white vinegar and a sponge or cloth to buff the spots right out. Easy peasy. 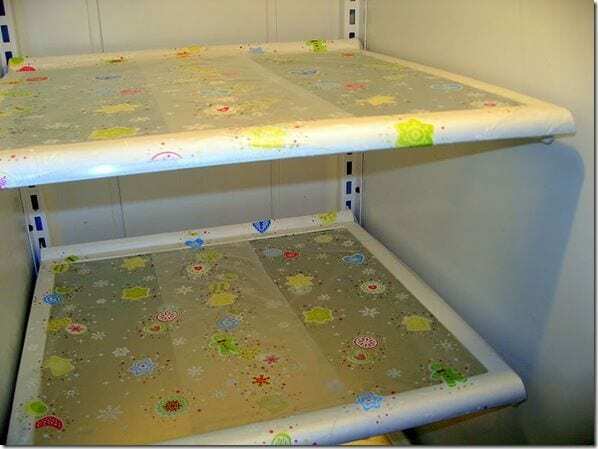 To shine up your cookie sheets and flat baking sheets, just break out that baking soda and warm water mixture again. Scrub the sheet with a sponge and life all the stains and grimes with ease. Add a few squirts of hydrogen peroxide for an even easier clean. 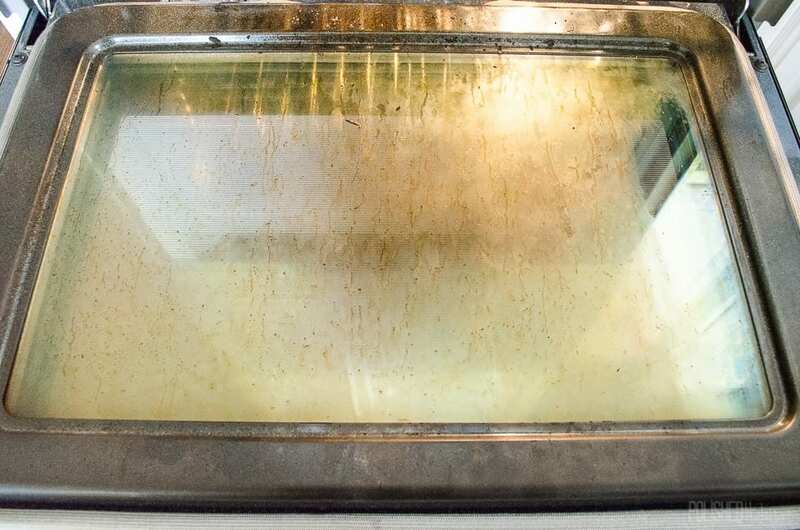 Have you ever noticed that grease and grime somehow become stuck in between the glass of your oven window? It seems impossible to clean, but it’s actually not. Thank goodness! 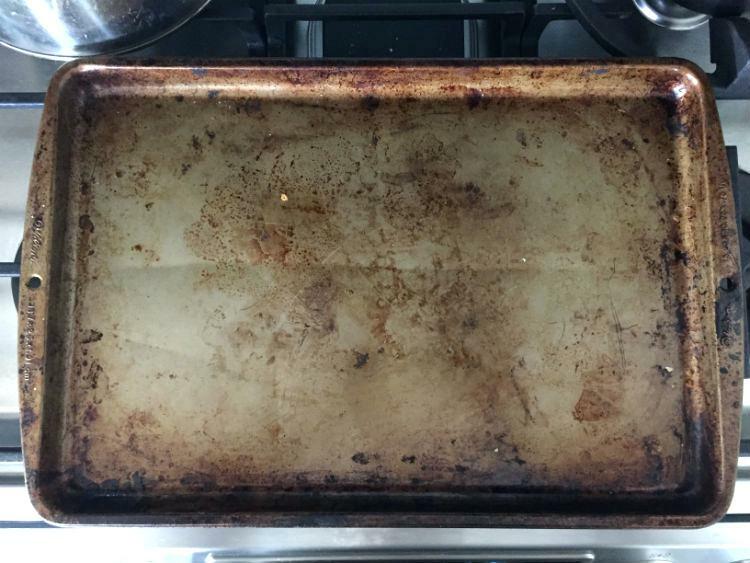 Clean your oven window by following this tutorial over at Ask Anna Moseley. You’ll need a small metal hook and a soft cloth for this hack. 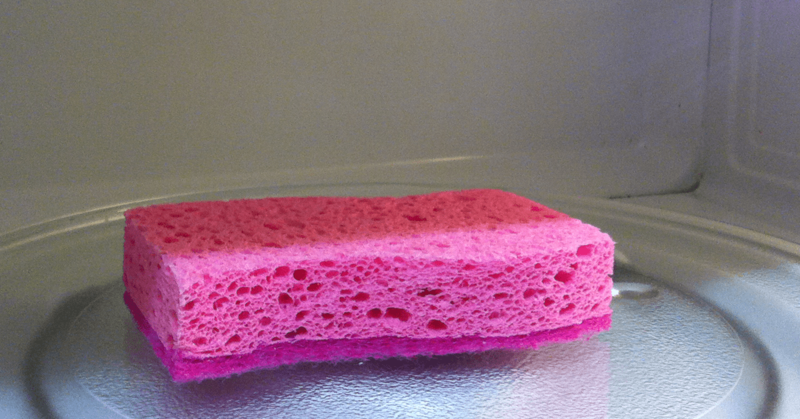 We use our sponges to clean everything but how do you clean the sponge itself? Easy! Just toss it in the microwave! Studies have shown the sponges are the dirtiest items in our homes. Yuck! 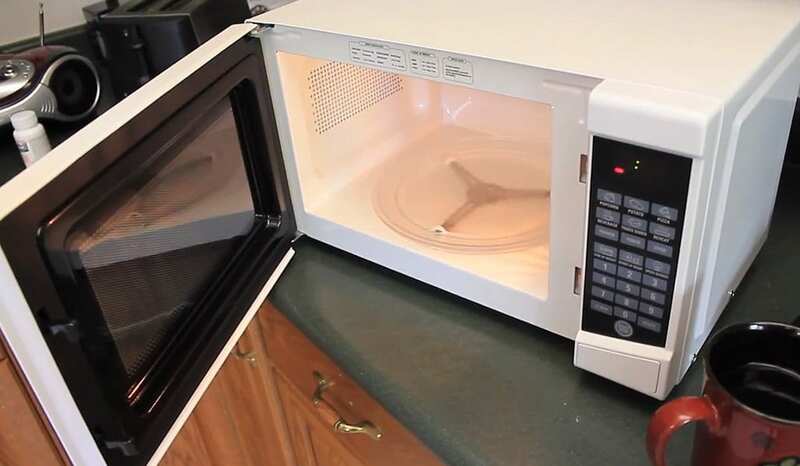 Zap them in the microwave for 2 minutes to kill bacteria. Soak your pots and pans in a sink with warm water, baking soda, and lemon. All of the grease and burnt food will slide right off. All you’ll need to do is give them a gentle scrub, rinse, and let dry. Dish and hand towels in the kitchen can get a bit smelly after a while. Make them smell fresh and clean again by adding baking soda and vinegar to your regular wash cycle. It takes the cleaning power up a notch compared to just regular laundry detergent. 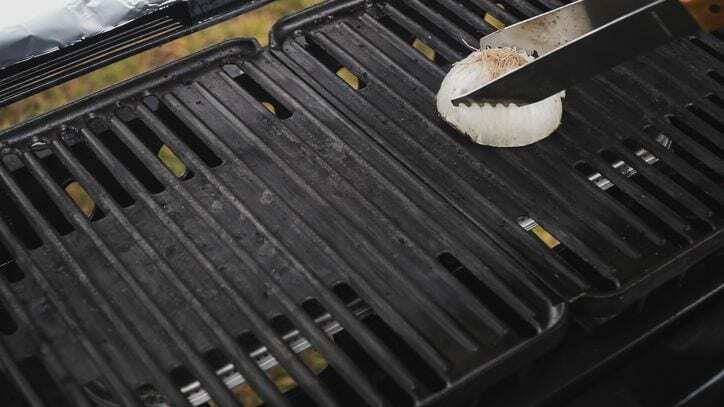 If you have a grill with grill grates on your stove top, remove grease buildup with an onion. Cut the onion in half and scrub down the grates while they’re still warm to remove all the grease. Plus, the onion will leave a little layer of flavor for when you grill next. 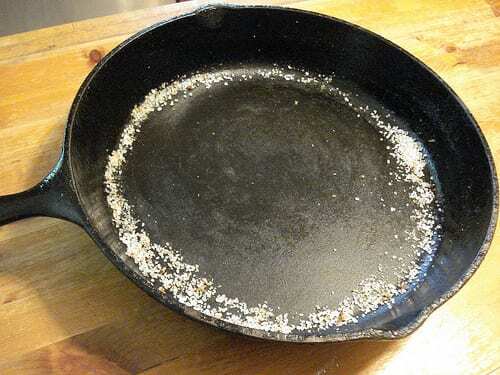 “Soap shouldn’t be used on cast iron as it can ruin the seasoning. 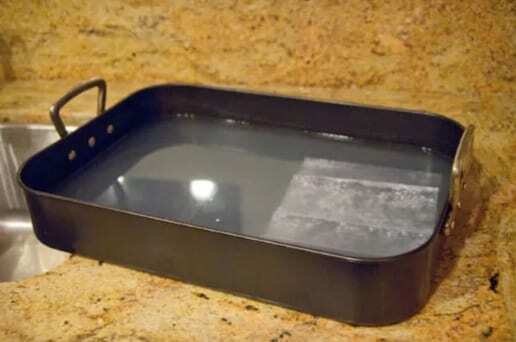 Instead, simply use a steel scouring pad and some coarse sea salt to cut through the grease,” says Natural Living Ideas. 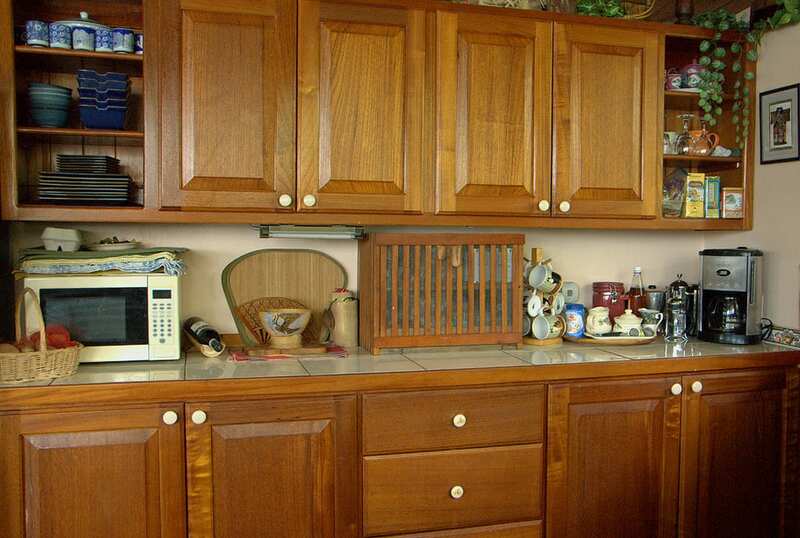 After cleaning your wooden cabinets, it’s nice to polish them so that they shine beautifully. 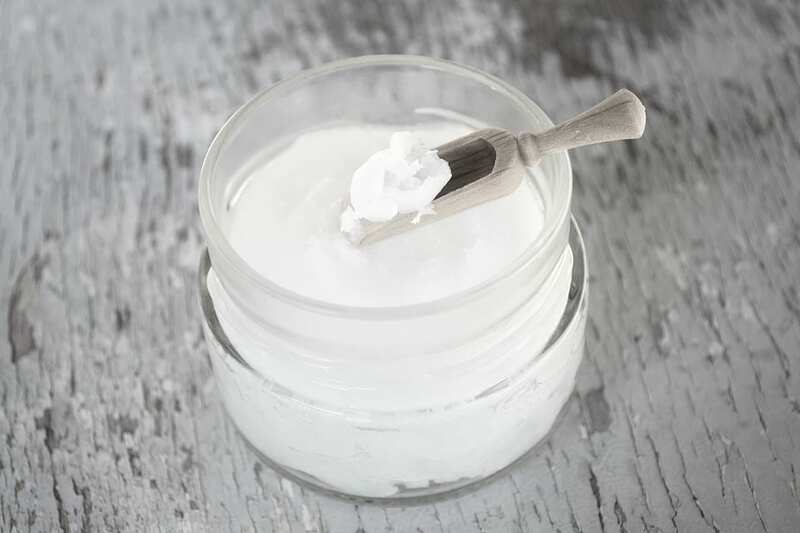 You can do this by placing a little bit of coconut oil on a soft cloth and gently buffing the oil into your cupboards, cabinets, island, or tables. 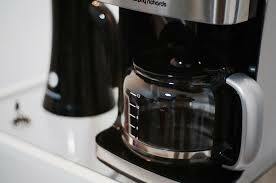 Coffee machines are a breeding ground for germs and bacteria. So often we forget that we need to clean the inside of our coffee machines and not just the pot. To do this, fill the water chamber with equal parts water and vinegar then run the machine. Do this two more times with just plain water and you’re all set. Does your dog or cat like to crawl onto a bench or cushions that sit at your breakfast table or nook? No one wants to end up munching on dog or cat hair when they’re eating so be sure to remove pet hair with this easy trick. Just rub a squeegee over the fabric and pet hair should lift up easily. Works great on carpet too! Skinny vases or bottles that we have in our kitchen look great for decor but they’re a real pain to clean–especially if they have a very narrow opening. Reach for a bag of rice to help you with this task. You’ll also need water and a little soap. Here’s the method to follow. Freshly ground coffee and spices are such a treat! But they can leave your grinder filled with little crumbs and bits of whatever you were grinding. 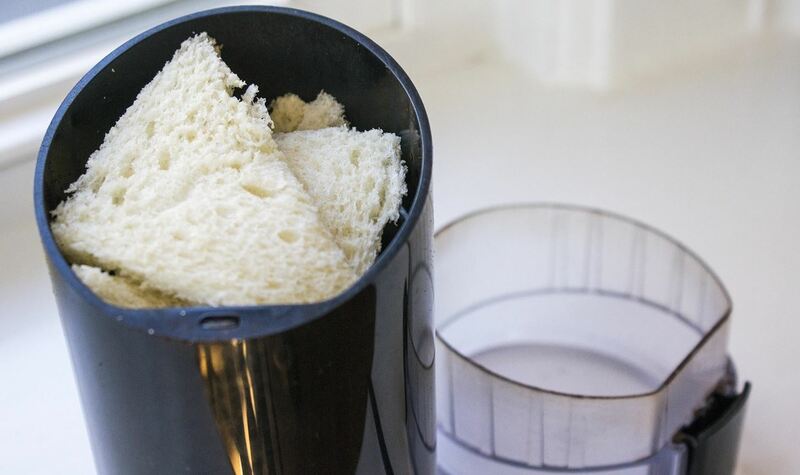 To clean it out, just toss in pieces of plain white bread, pulse the grinder a few times and dump it out. The soft, moist bread will pick up all the remnants. 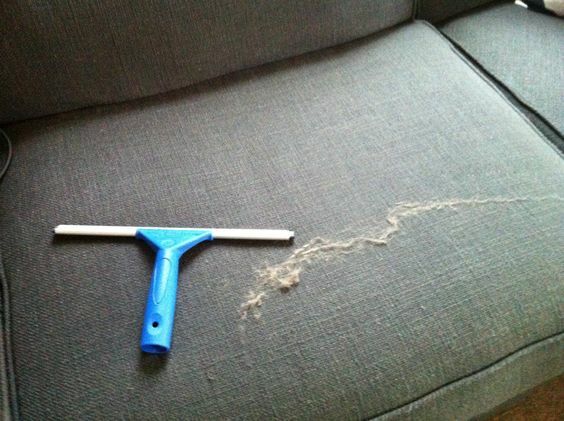 Talk about the lazy person’s best cleaning hack ever. If you have hardwood or tile floors, buy some chenille socks and make them your designated dusting socks. They work just as well as a Swiffer and you just need to toss them in the wash!